Interlaken is the perfect resort for those who want to explore a number of different ski areas. Situated between Lake Thun and Lake Brienz, this picturesque, bustling town offers easy access to the Jungfrau ski region via free ski bus or the mountain railway included in the lift pass price. Over 200km of pistes are available to guests staying at Interlaken as the resorts of Grindelwald,Wengen andMurren are within easy reach. Beginners can head to nearby Beatenberg where a small ski area caters perfectly for novices with views over Lake Thun, or to the more extensive blues at Wengen. Intermediates will find plenty in the Jungfrau region to keep them occupied and experts can Explore the variety of off-piste options as well as the more challenging runs in Wengen and Murren. 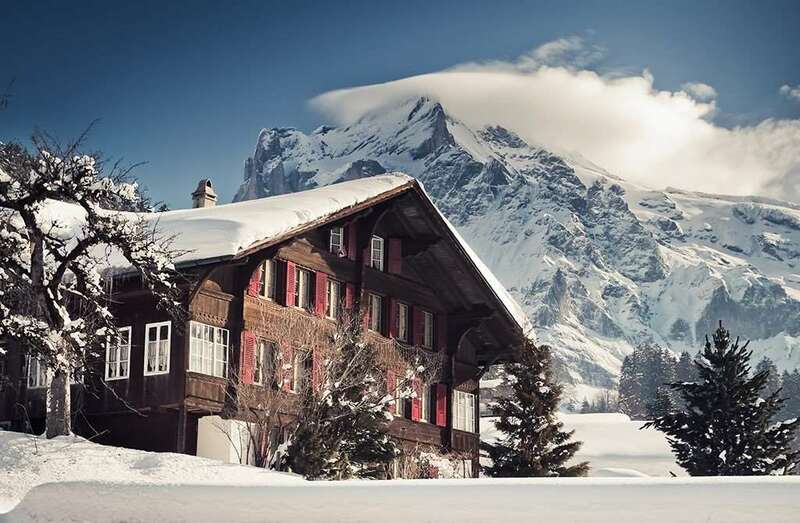 As Interlaken is based in the centre of the valley where snowfall doesn't tend to reach so skiers don't be concerned if images show no snowfall in the village as the ski lifts from the resort take you high up to the surrounding ski areas higher in the valley. The pistes are also equipped with some snow making facilities so if natural snowfall isn't the greatest artificial snow will be blasting out so skiers can hit the slopes throughout most of the winter season. There are many options for non-skiers including winter walking trails taking in fantastic views, dog sledding and boat trips on the lake; cross-country skiers will find 7km of trails in Interlaken with a further 34km across the neighbouring resorts. There are several airports surround the Interlaken ski area most of which are accessible via train these are Zurich, Milan Malpensa, Geneva and Basel. Berne airport is accessible via bus or rail transfer. All airports are with a 2-4 hours transfer time.